This week, Guest Contributor, Nicole Noel, shares her Top 7 Most Fabulous Sailing Destinations around the World with our Jaunt Magazine readers. The fact that you love to sail speaks volumes about you. That is what you will find if you listen to the experienced sailor, Super Calin. He states that, according to his experience, people who enjoy sailing are smart and confident. They are adventurous and they know how to enjoy life (Super Calin, January 2015). All these traits are enhanced if you try to enjoy sailing at some of these seven amazing places. One of the most amazing things happens in Capri. It is the annual Rolex Sailing Week. It takes place in May because of the amazing sailing weather. Enjoy the view of inshore racing around the volcanic sceneries and Aeolian Islands. If you have what it takes, join the races and make the most o this event. Who doesn’t love the French Riviera? The charm and the luxury of the French Riviera are reserved for those that enjoy the luxury. The Gulf of St. Tropez needs to be a part of your itinerary. Explore the lagoons and visit the Medieval Cogolin. You can also just stay at the port and admire the stunning, luxurious yachts docked there. You will pass thousands of islands once you enter the waters of Croatia. You can take your pick and visit the great, history packed city of Dubrovnik, or you can opt for some small, village taverns. Let the locals show you their fish specialties and do not forget to ask for a glass of a homemade Dalmatian wine. Definitely start at Olympos and head to Gokkaya Bay. 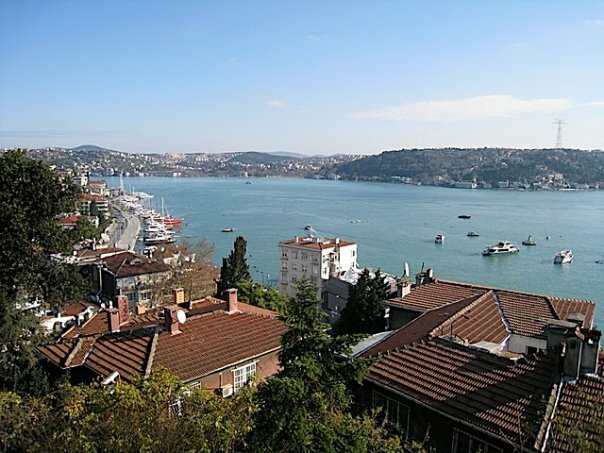 The waters are amazing and everywhere you chose to make a stop, the Turkish cuisine will spoil you for any other. Two stops are necessary, though: the sunken city will be underneath you as you sail over the ruins of the city that was destroyed 2000 years ago. It is the part of the World Heritage. Also, dock and go to explore Simena Castle, once you reach it. This place is famous for its amazing white beaches and jaw-dropping color of water around it. 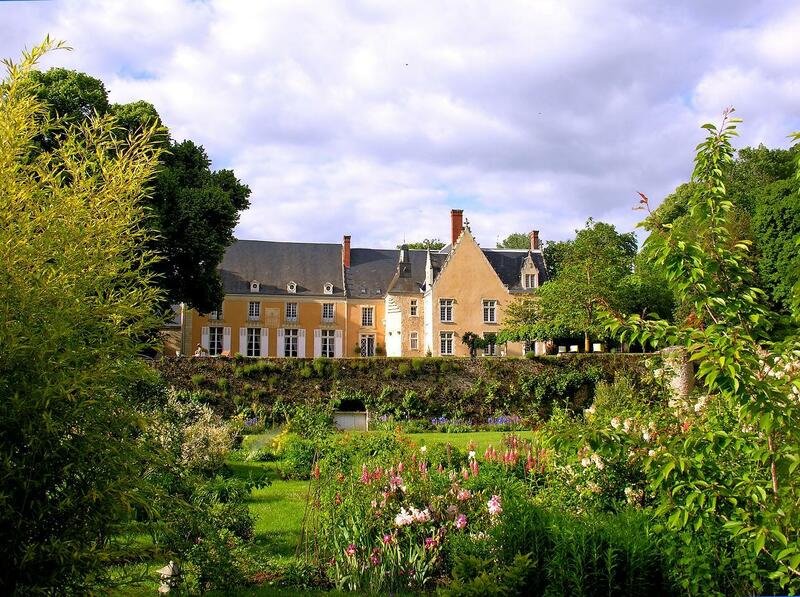 It is a secluded place where people come to relax and spend a day in perfect nature. You can make this a perfect chance to let somebody do your boat detailing while you spend a day on this beach. That is why you need to make this a part of your trip. 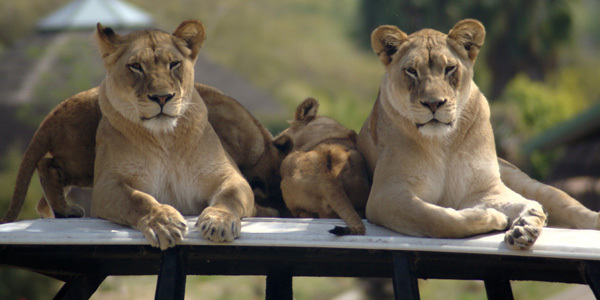 Forget about activities and adrenaline rushes and let the nature itself amaze you. It is a tropical paradise of peace. Tahiti and Bora Bora are the destinations where the rich and famous go for their honeymoons and hedonistic trips to unwind and relax. The nature and the waters are awesome and full of wildlife. If you want to get in close touch with the nature, seek for a guide that will give you the shark feeding experience. That definitely adds to the thrill of sailing at this natural paradise. The Ancient river of Nile is the cradle of all life. Just by going down this river, you can meditate on that fact alone. However, to experience the ancient culture, make a stop in Sudan. Visit the wonderful ancient Meroe Royal City. You will see the tops of over two hundred pyramids. This was the ruling place of the Black Pharaohs. The waters will take you to the most amazing places if you let them. Exploring the world from the sea is a perfect way to learn more about nature, history and world in general. Therefore, take that chance and make this list your checklist for the future. Nicole Noel is an avid traveller. She enjoys discovering different cultures, exploring new things, and sharing her ideas with others. You can find her on twitter and FB. Turkey, the site of two wonders of the ancient world, is a present-day marvel – the cradle of many civilizations, the very center of world history and a modern republic which, at times, struggles between embracing the relics of her past and a forward-seeking future. A country of fascinating contrasts, antiquity is juxtaposed with the contemporary, the familiar with the exotic, and sun-swept beaches beckon less than an hour away from snow-capped mountains. Everywhere, however, visitors say they are often treated to the extraordinary warmth of the Turkish people. Istanbul is the most popular 1st stop for those visiting Turkey and it’s a clear winner among people of all nationalities and religions. 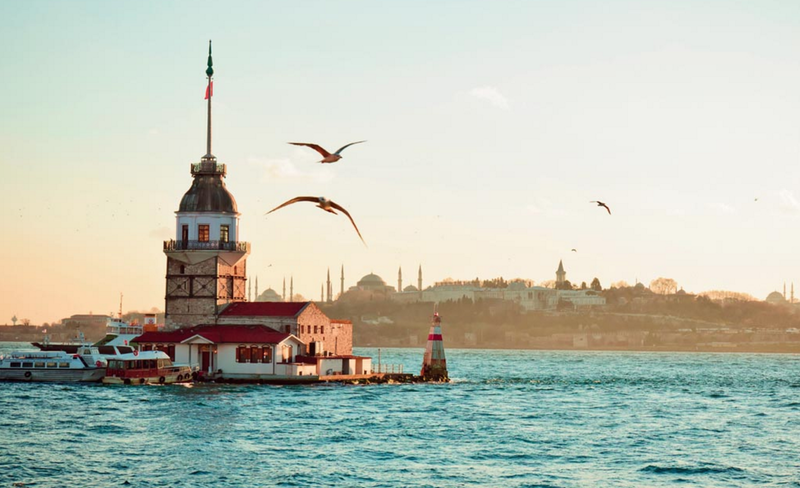 If you only have a few days or a long weekend, here’s a quick cheat sheet of the Top Things to Do and See in Istanbul, to soon be followed by the Wonders of The Turkish Coast. In addition to the well known sites of the Blue Mosque and Topkapi Palace, two years ago, Istanbul was rated Travel + Leisure‘s #1 European city to visit, so, to celebrate Staff of the Turkish Cultural Foundation (TCF) compiled a list of the 10 places every visitor to Istanbul must experience which we wanted to share. A few years ago, we stayed at The Ritz-Carlton, Istanbul because we always know we’ll get top-notch service and food, but Istanbul has several fantastic properties that are unique and special (Note: Ciragan Palace). 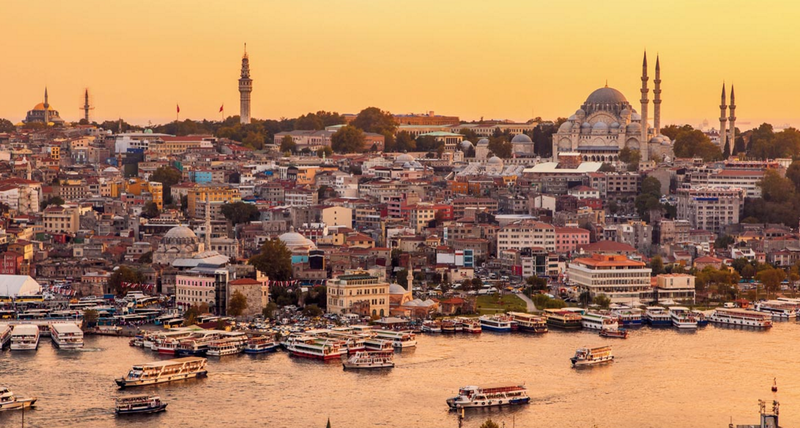 The Ritz is located at one of the most exciting cultural crossroads in the world in a city that bridges the continents of Asia and Europe along the banks of the Bosphorus Strait. From the outside, it may look like another skyscraper, but once inside, international recognition for its commitment to exceptional levels of service becomes clear. You’re not simply told where the Ladies room is located, you’re escorted there, after being offered some warm Turkish sahlep, a delectable sweet warm drink reminiscent of yogurt and cinnamon. The Ritz-Carlton, Istanbul was voted “Best Overseas Business Hotel 2009” by readers of Condé Nast Traveller UK and it’s no surprise. It’s about as stress free as you can get. In addition to 244 rooms and 23 suites, there are 57 Ritz-Carlton Club Level rooms (since I’m obsessed with the Club Level) and The Ritz also offers the award-wining Laveda Spa that includes ten treatment rooms including a not-to-be-missed Turkish Hammam where you will feel transported back in time, dreaming of the days of Suleyman the Magnificient. 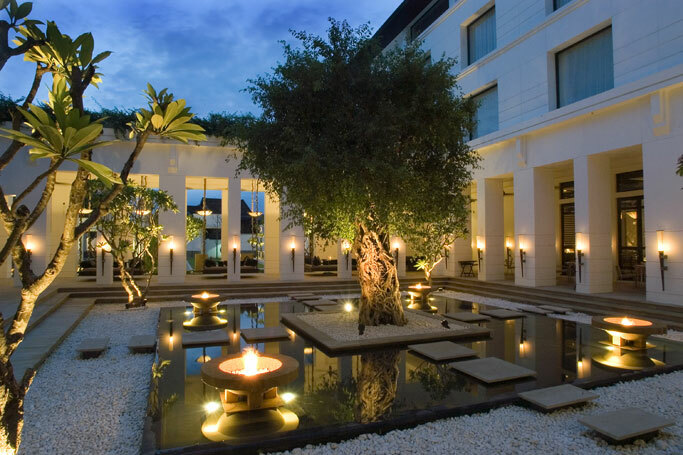 At the Laveda Spa, the experienced therapists apply the miraculous methods of massage and skin care with Aromatherapy Associates offering all natural plant oils and the high-end line of Carita products. Apart from that a variety of holistic massages like the relaxing “Sultans Royal Six Hands Massage” applied in synchronization by three trained artisans, there are also exclusive body treatments like the “Hot Chocolate Seduction”, “Caviar Therapy”, “Milk & Honey Bath,” or an intoxicating wine therapy called “The Gift of Bacchus,” all infused with natural ingredients. The indoor pool, the biggest of all indoor hotel pools in the city, is another alternative for more sporty activities or a few lazy laps. You’ll have the feeling of soaking under the Turkish sky when swimming in the mosaic pool as twinkling “stars” on the ceiling illuminate the pool area and highlight the impressive architecture of the Byzantine period of Istanbul. But perhaps the most stunning section of the Spa is the authentic Turkish Hamam modeled on the 16th century Baths of Roxelana. 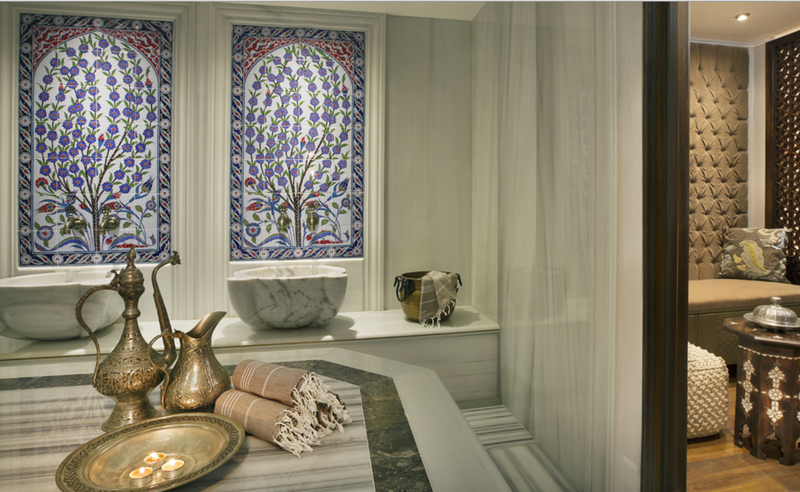 The Hamam ritual entails a process of complete surrender to scrubbing, washing, and relaxation where you enter a private hamam room and lay a warm slab of marble. Once there, you’re exfoliated and cleansed like a goddess with copious amounts of warm and cool water, followed by a thorough body wash, and a bubble massage where the therapist creates clouds of bubbles with the use of a special towel that surrounds you like a daphine-scented cloud (an exotic flower from Western Asia). This was, in many ways, the highlight of my luxurious vacation. After our Turkish Hamam, we headed to the Ritz Calrton Istanbul’s Çintemani restaurant for dinner, an exciting autumn menu designed to celebrate local seasonal produce and showcase a unique approach to the culinary traditions of Turkey. Highlights on the autumn five-course degustation menu from then Chef de Cuisine, Ali Ronay (now at Raffles). His menu included Turkish puff pastry with pumpkin and pomegranate, lamb from the Thracian region and Turkish pancakes, while the à la carte menu was a whirlwind journey around the country’s regional flavors from Thracian beef fillet, prawns from Turkey’s Mediterranean coast, tuna and octopus from Dardanelles, veal from Balikesir, and chicken from Bandirma on the Sea of Marmara. The fusion of local flavors and innovative cooking techniques made the dishes so unique and mouth-watering that I can honestly say I’ve never quite tasted food like this before. Prawns were infused with Turkish Raki brandy, Bosporus bonito fish was prepared in traditional tomato and onion ragout, while mullet from Dardanelles was dressed with virgin olive oil from Bodrum. Innovative techniques included lamb prepared à la sous vide (a method of cooking vacuum-packed food in a plastic pouch at a set temperature often in a water bath) and cheesecake created from Aegean curd and seasonal pumpkin. Now are you hungry to check it out? They call it, “Ladakhi Love,” because this high-altitude desert is a breathtaking escape where remote wilderness overlooks the Himalayas. Here, one is brought closer to the love in their heart and the SO in their soul. Ladakh, better known as little Tibet, is in India’s northernmost region. Only comfortably accessible to travelers during the summer and fall months, this time of year, the weather is gorgeous and humidity-free, making it the perfect alternative to the sticky heat that envelopes the rest of India. We’re highlighting Shakti, operator of bespoke walking tours and homestays, because they’re a small sweet little outfit offering customized, private itineraries for guests to experience the breathtaking beauty of this remote wilderness with a full range of activities including village-to-village walks, treks, visits to monasteries, camping, and rafting along the Shayok and Indus Rivers. 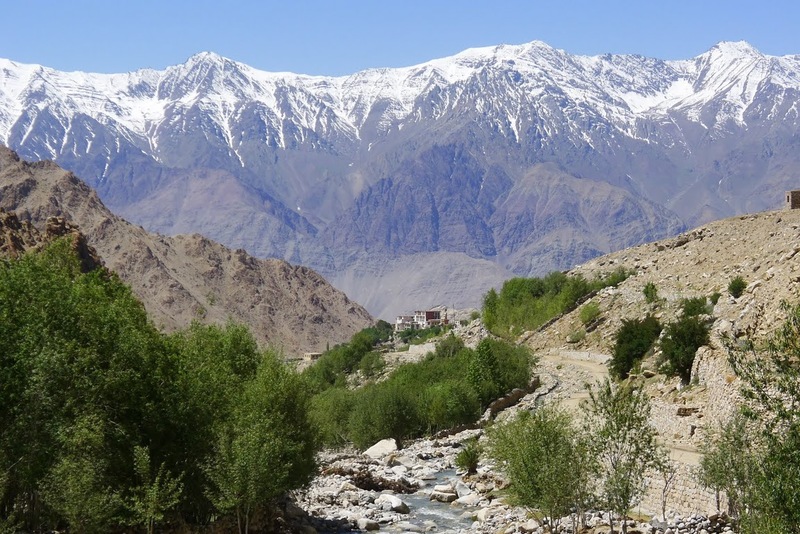 For the 2011 Shakti Ladakh season (May 1 – October 31) there are three new village houses as well as new treks and camping options in and around the Indus Valley. The village houses have been gently spruced up to meet Western standards and yet maintain their authenticity as British interior designer Ellie Stanton has created a stylish and comfortable décor for each, including all new fittings in the bathrooms that give them a stylish functionality. All houses feature solar power and grey water recycling facilities; locally-source wood and mud bricks were used in the construction along with sustainably-harvested willow for the interior roofing in the traditional Ladakhi style. 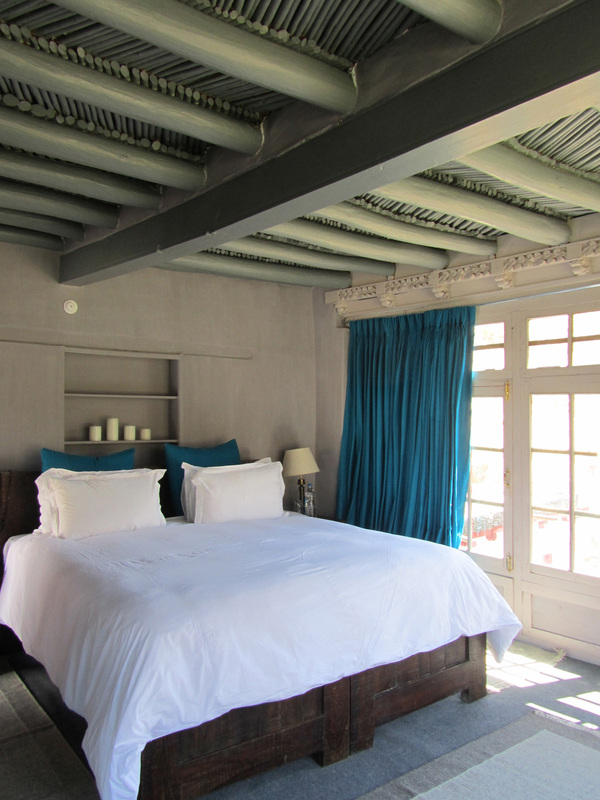 Shey: This century-old home offers views from its roof terrace of the nearby Shey Palace and the Tibetan-Buddhist Thiksey monastery. It has three bedrooms, an en suite bath, large sitting room, and traditional kitchen. Many of the rooms are painted in a traditional style with decades-old motifs. 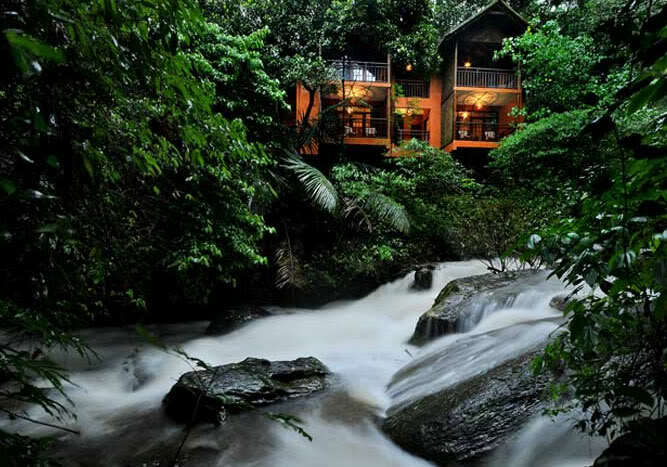 The village house at Shey provides a great location for walking, trekking, and biking. Eego: The village of Eego is one of the few locations where guests can enter and exit the valley on foot. 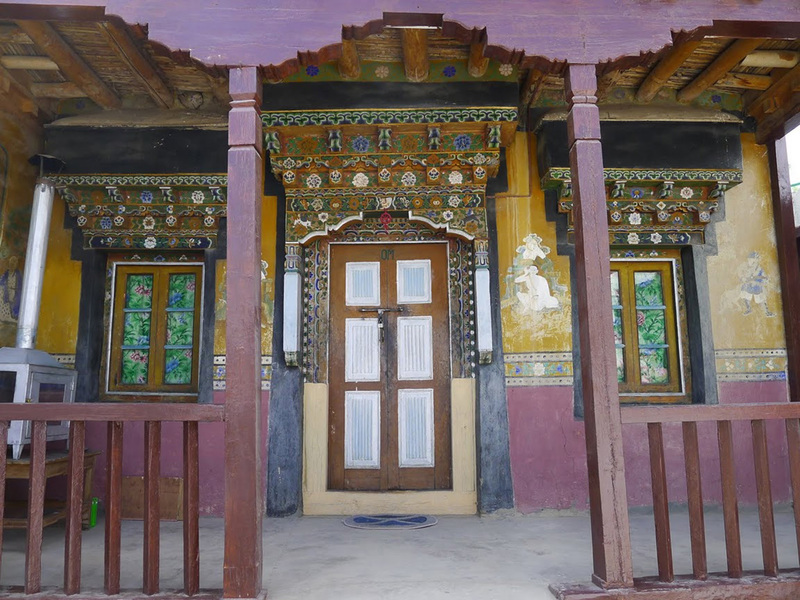 This 150-year-old stone baronial mansion, three stories high, is situated above the village near a glacier and some of the oldest Ladakhi dwellings. It boasts three bedrooms, a sitting room, a dining room, and an open terrace with stunning views of snowcapped peaks. Eego provides a superb setting for walks and treks. Likhir: Sitting above the renowned Likhir monastery and just below the glacier that bears its name, the village house at Likhir provides jaw-dropping, alpine-like sights of the valley and snowcapped peaks. It has two bedrooms, en suite bath, and is within easy reach of Alchi village and the famous Alchi monastery, one of the oldest in Ladakh, with its beautifully preserved 11th century wall paintings. Stakmo to Eego Four-Day Trek: This three-night/four-day trek through the unexplored valleys and villages on the north side of the Indus Valley can be added on to any Shakti Ladakh itinerary. On daily treks 5-6 hours in length, guests will experience trekking along some of the highest ridgelines as they traverse from west to east across the northern side of the Indus Valley, passing by villages, forgotten valleys, and high-altitude flora and fauna such as the ibex, yaks, and marmots. Enjoy daily picnics in some of the most stunning valleys and picturesque river settings the Ladakh region has to offer, while evenings are left to explore villages and camp out under the stars in comfortable, domed canvas tents. For Shakti Ladakh’s seven-night itinerary, rates start at $890 per night for one person traveling, $530 per night per person for two to three persons, and $461 per night per person for parties of four to six. Included in the rate: private accommodations for group, all meals, drinks, activities, two rafting trips (weather dependent), English-speaking guide, cook, porters, car at disposal, all taxes, 5% service charge, and round-trip transfers between Leh Airport and Shakti Ladakh. Minimum stay of five nights required; children ages three and older allowed. For Stakmo and Eego three-night, four-day trek, rates begin at $1,499 per person on a twin/double share basis. Included in this rate: accommodation in dome tent, all meals and drinks, English-speaking guide, porters, transfers between Stakmo and Eego at the beginning and end of trek. Children 16 and older are allowed. Check it out, ballers! 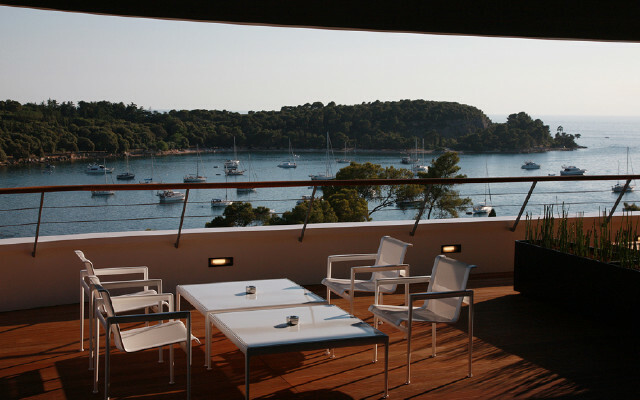 Hotel Lone, Design Hotels™ first member in Croatia, is now open. Okay, yes, we’re obsessed with Design Hotels, but we’re also obsessed with Croatia. Not only did we rub elbows with the ex-PM’s daughter in Grad School (talk about a stunner! ), but we also think Croatian men are hunks. 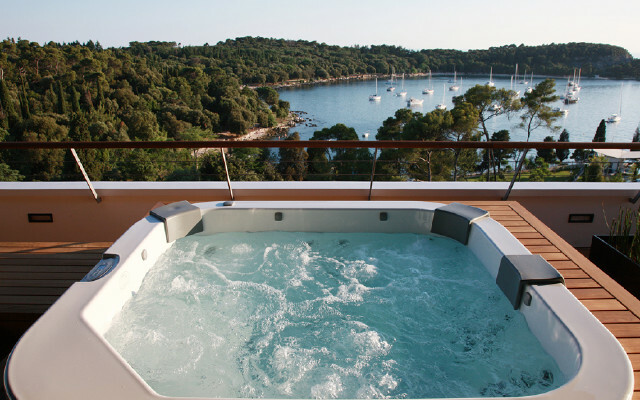 So, what better reason to hit the road, Jack, then to head to the 248-room property located in the picturesque Mediterranean town of Rovinj, in the exclusive Monte Mulini neighborhood. Built to resemble a sleek white ocean liner floating on the hillside, the hotel also offers a range of places to wine and dine including three restaurants, three bars and… you guessed it… a night club. It also features a Mediterranean-inspired wellness center, a 600-seat auditorium and nine other meeting and conference spaces with state-of-the-art technology (since those of us who’ve had to put on events know just how critical good A/V equipment can be). So we say, Hotel Lone’s design focus, together with first-rate event and leisure facilities, create the perfect symbiosis of work and play. As Design Hotels explain, “The ancient woodlands and wave-lapped coves of Croatia’s Adriatic coast have long been attracting sun-hungry tourists, leaving business travelers with no choice but to seek refuge elsewhere. Now though, after years of meticulous planning, there’s a proper design-focused place for them to stay in. The Croatian architectural firm 3LHD teamed up with Studio Numen and freelance conceptual artists to create an exterior and interior that ooze tailor-made design. Wrapped by the emerald trees of the Zlatni Rt forest, and marked out by seductive minimalist curves, Hotel Lone is a conference hotel with a difference. Owned by Croatian hotel company Maistra Inc. and just a 10-minute walk from one of the most picturesque towns on the Mediterranean, Rovinj, it bends away from the coastline in a distinctive Y-shape, which means all 248 rooms and suites have views of the island-speckled coastline. Some of the hotel’s six meeting rooms benefit from this unusual profile, too, with high ceilings and wide spaces giving guests the freedom to think.” And, when you’re off galavanting around Europe for work and play, that’s exactly what you need. Locally grown rosemary, lavender and olive oil only add to the temptation of the Mediterranean-inspired wellness spa, while the open-plan lobby – decked in mirrors and cool white stones – allows the outstanding natural beauty of the surrounding area to flood inside. The project, led by Croatian architect Silvije Novak of 3LHD and inspired by the typology of 1970s Croatian hotels, brings the idea of terraced hotels with large lobbies to the scene and all rooms have spectacular sea or park views, with a dramatic hotel lobby opening up towards the sky with an atrium spanning six levels. With seven restaurants and bars, each with a different concept and cuisine, the hotel is a must-visit for food and wine enthusiasts. A la carte restaurant “L” offers traditional Croatian cuisine and over 200 old and new world wines. 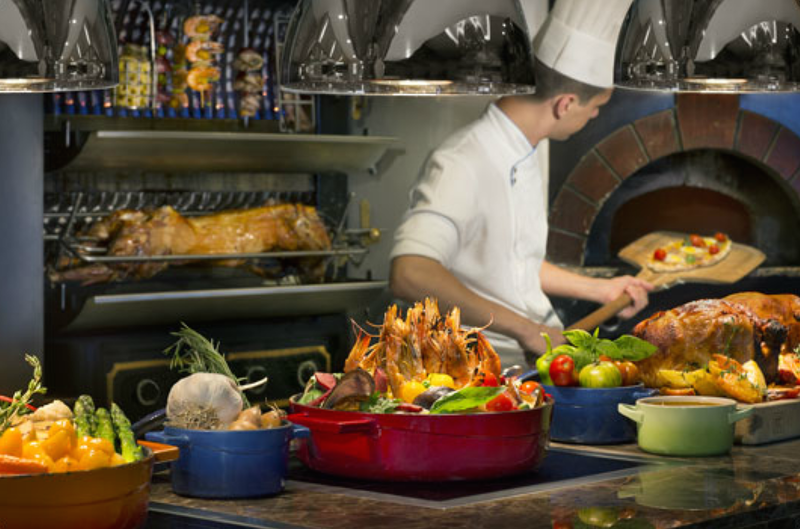 “ON” focuses on Mediterranean and central European cuisine through buffet and live cooking stations. Restaurant “E” features traditional Eastern cuisine infused with Mediterranean flavors; a highlight is the seafood tapas. The Wellness Center boasts eight treatment rooms, some with large glass walls with stunning views. The offerings are varied including facial and body treatments, massages, invigorating baths and sauna with scented steam, Finnish, Turkish, salt and infrared sauna options. Infrared, what? 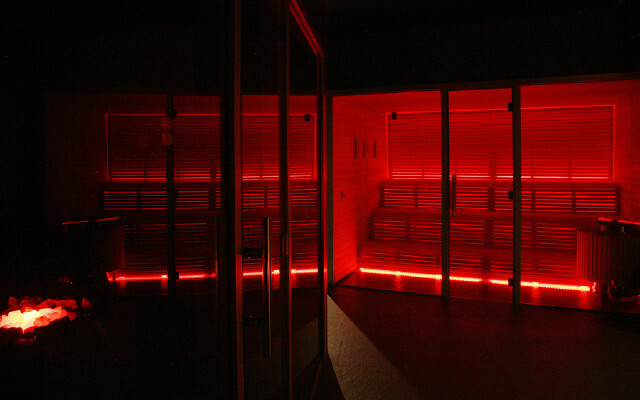 That’s right… infrared sauna. We don’t skimp on our suggestions now, do we? Inside the Wellness Center is also a gym, an aerobics room, a relaxation room, water beds, experiential showers and a swimming pool with hydro-massage therapy. 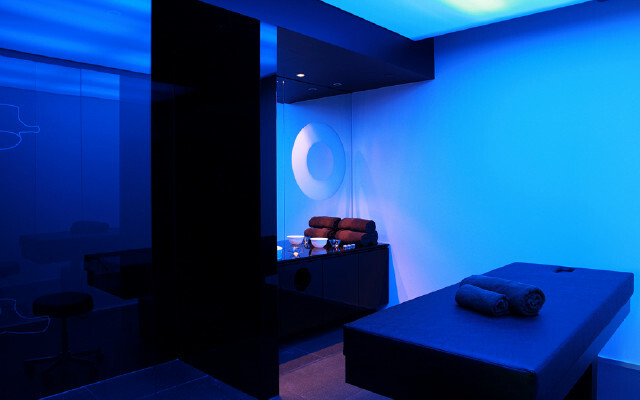 There is also a specially designed space dubbed “sunken room” where guests float on hydro massage beds and chairs. LOVE sunken rooms. You too? Hotel Lone also features a collection of furnishings from renowned designers like Patricia Urquiola, Richard Schultz and David Rowland. Specially commissioned visual art installations can be found throughout the hotel’s public spaces. “We wanted guests to feel comfortable in vast spaces without being intimidated,” explains Croatian artist Silvio Vujicic. On the walls as well as along the lobby, spatial mixed media installations draw guests into the story and concept behind Hotel Lone. The rooms and suites are also decorated with graphics by Vujicic. As a screen-printing, textile and mixed media impresario, Vujicic drew his inspiration from Istrian cultural heritage and 15th century frescoes. With a private location near the sea of the Golden Cape Nature Park, Hotel Lone is surrounded by the historical Mediterranean Park Forest Zlatni Rt and is a 15 minutes walk from Rovinj’s historic town center and marina. Rates range from EUR 186 – 1813. The hotel is currently offering a 3 for 2 Summer Special. Available for a short time only, from now until September 1, 2011, guests booking three nights will only pay for two. Looking for some last minute fall getaways? Who isn’t? If you’re anything like me, you’re a workaholic often being told by your colleagues to just ‘get some rest already!’ So, as it’s just around the corner, fall is the ideal time to discover the world, with many destinations around the globe featuring cooler temperatures, colorful panoramas, abundant wildlife and a kaleidoscope of festivals. 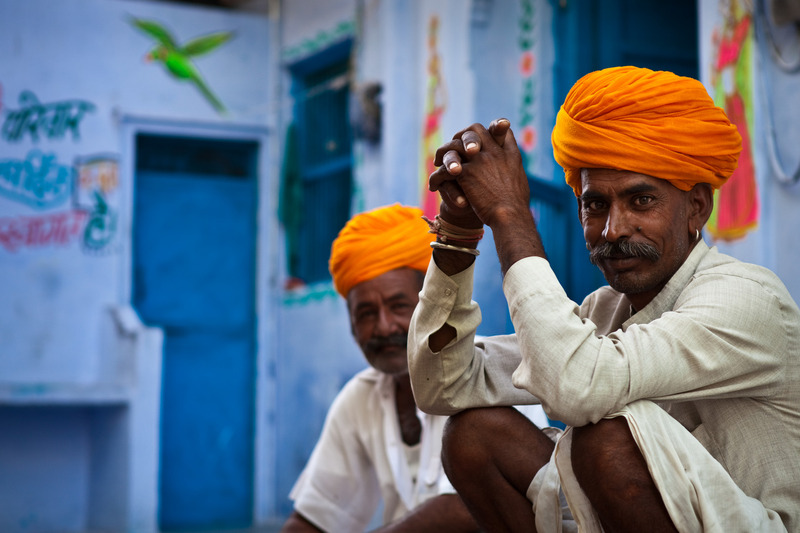 India, already a vibrant country, explodes in a riot of colors in the fall, when many festivals take place, including Diwali and Pushkar Fair. Budapest, Vienna and Prague are also beautiful during the Fall, along with Berlin, China, and Tanzania. So, when Abercrombie & Kent sent us a list of their special fall journeys (with added discounts and deals), we wanted to spread the word so that you, too, could experience your dream destination at its best. Solo travellers take note: you can also save up to 96% on the single supplement on: Treasures of Northern India from Oct 7 and Nov 11 and Essence of India from Oct 13 and Nov 17. Remember, Abercrombie & Kent is high-end so you won’t be skimping. This is 5 star all the way with guides that are some of the best in the world. We’re talking life changing travels, baby, and you could use a shift in your continuum, right? August through November departures are filling fast so click the link below to see last-minute destinations for fall travel, and reserve a fall getaway now!